Running a business is not cheap. Whether you are a small business owner or the CEO of a major company, you may be struggling with a mountain of debt. A business line of credit can make it possible to better manage your debt by lowering your monthly payments. Debt consolidation loans are designed for businesses that are having trouble paying multiple business loans. With a debt consolidation loan, multiple accounts and payments are converted into a single loan product with a more favorable payment schedule and interest rate. Learn more about debt consolidation loans, how they work, and why you may want to take out a business line of credit. Debt consolidation is a type of debt refinancing tool that combines two or more high-interest debts, such as credit cards, into one, lower-interest payment. The goal of debt consolidation is to reduce the total amount of debt enough to be able to pay it off faster. 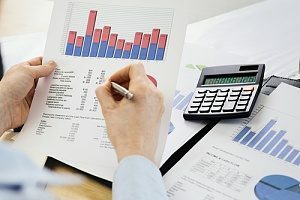 If your business is dealing with a vast amount of debt from different accounts and you want to make your finances more organized with fewer due dates and payments, taking out a debt consolidation loan may be the right choice for you. Debt consolidation loans are typically fixed-rate personal loans offered by most financial institutions. With a debt consolidation loan, you can use the loan money from the bank to pay off your debts. You will then be responsible for paying back the loan amount in installment payments over the set term. While debt consolidation can be highly beneficial in certain circumstances, it may not be right for everyone. Businesses that are buried in a significant amount of debt may find other options such as bankruptcy to be a more viable solution. You may be wondering if you are a good candidate for a debt consolidation loan from a banker. You will need to carefully look at your financial state before going forward with a loan to determine if you may be eligible. As a general rule of thumb, debt consolidation is often a good option if your total debt does not exceed 50 percent of your company’s income and if your cash flow consistently covers payments towards your debt. A debt consolidation loan is also a good idea if your credit is good enough to qualify for a low-interest loan. Debt consolidation can provide a number of benefits to businesses, both big and small. One of the biggest advantages is the ability to turn multiple debts into one convenient payment. Having just one debt payment will leave your business more organized and can help ensure that you do not forget to pay a creditor. Many times, debt consolidation loans will also come with lower interest rates. This can save you a substantial amount of money in the long-term. Taking out a debt consolidation loan can also have a positive impact on your business line of credit. If you are frequently making late payments on your debt accounts, you are hurting your score. When you consolidate your debts into one, you are better able to stay on top of your payments which allow you the opportunity to rebuild your credit. When you stay on top of your bills, you can also eliminate those pesky collection calls. These types of calls can be extremely stressful, especially if you are receiving them multiple times a day. With a debt consolidation loan you can finally push your business in the right direction. Another major benefit of choosing to consolidate your debts is the ability to move from a variable to a fixed rate. A debt consolidation loan has a fixed rate and a fixed monthly payment, which eliminates any surprises from month to month. 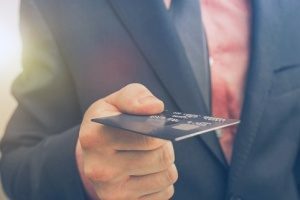 This is different than most credit cards that have variable rates which can change on a monthly, quarterly, or annual basis as the market changes. By moving your debt from a variable rate to a fixed rate, you can take better control of your finances and save yourself money. However, you will want to talk to your banker to determine if a fixed rate is the best choice for you. Managing one loan can be stressful for a business owner. When you are trying to pay multiple debts at once, it is easy to feel overwhelmed. Along with your other daily activities, remembering to pay a debt and setting aside enough of your cash flow can be difficult. Fortunately, a business line of credit such as a debt consolidation loan can make it possible to get out of debt. For more information about debt consolidation loans or how to apply for a loan, contact an experienced banker at FVCbank today.